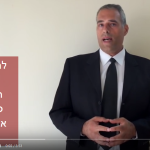 כתבה שהתפרסמה לאחרונה בפורטוגל ומתייחסת לחוק החדש של צאצאי מגורשי פורטוגל, מתארת את קצב הבקשות הולך וגדל לקבלת אזרחות פורטוגלית שמתקבל בכל חודש במשרד האוכלסין הפורטוגלי. 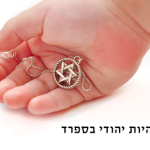 לקריאת הכתבה בפורטוגלית לחצו כאן. 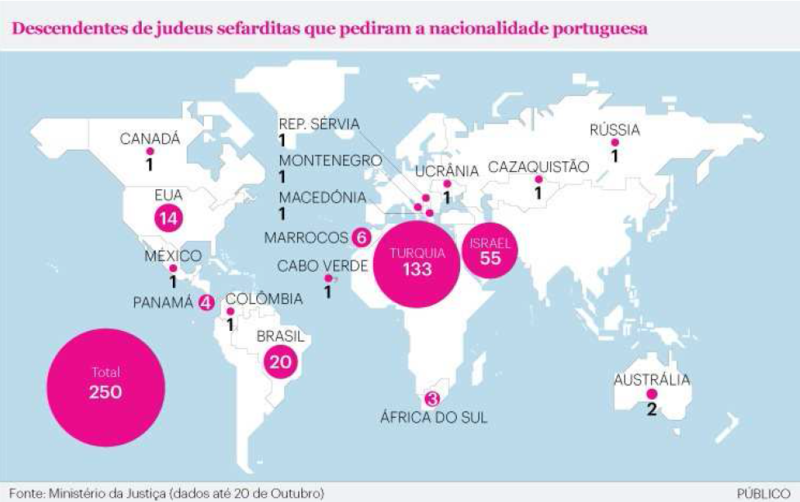 For the first time this month, Portuguese nationality has been granted to three citizens being descendants of Sephardic Jews, informed the office of Minister of Justice to PUBLICO. The two citizens of Panama and the Brazilian citizen who saw their applications approved by Paula Teixeira da Cruz, on the 2nd of October, can now get a Portuguese passport after completion of the birth registration in the Central Registry and obtaining the citizen card. The number of applications received near the Ministry of Justice, by descendants of Sephardic Jews, increased a lot in the last six months. On June 11th, 40 requests for Portuguese nationality by Sephardic descents had entered into the office of Justice Minister. On 1st October, the number increased to 204. And on last Tuesday, 20th October, the total came to 250. In this set, the applicants are mostly nationals and residents in Turkey (133 of the total applications) or nationals and residents in Israel (55 of total applications formalized near the Ministry of Justice). In this list, the youngest applicant was born in 1996 (19 years old) and the oldest was born in 1934 (81 years old). 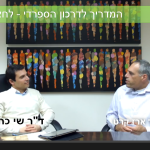 This entry was posted in מאמרים on 27/10/2015 by admin.